One of the excuses workout slackers offer is lack of progress. Let’s face it – when we work out we want to see some results from all that sweat and effort. The best way to see how far you’ve come is to keep track. Here are some things to measure. Use your fitness journal to note where you are and where you are planning to go. Consider a before picture and include your weight (without clothes) and body measured in inches. Weigh and measure on the same day and time each week (preferably not on the weekend when you are likely to take in more calories). Don’t have a tape measure? Just note how much room you have or how easy it is to fasten your favorite pair of jeans. Maybe when you started you could lift 5 pounds for 2 sets of 10 reps before you started to feel fatigued. After some weeks you may notice that you can lift more or complete more reps or sets. Note your progress in your journal. The distance you travel as a beginner will likely be quite a bit shorter than that for someone who has been running, biking or swimming for a while. You will able to go harder and longer as you build stamina. Use a fitness tracker to monitor how far you go and give yourself a pat on the back as you cover more distance. Maybe you won’t be as fast as the super hero Flash but you will get faster with time. Use your phone or a fitness app to see how speedy you are. You may even want to enter some races so you can beat your personal best. Maybe in the beginning you finish a 5k in 45 minutes. Keep practicing, with time you may finish in 38 minutes. Beginning yogis use blocks, straps and modifications as they improve flexibility. Measure how deeply you can move into and hold a pose. With time you will be able to touch your toes or remain balanced without falling over. How often you lace up matters. 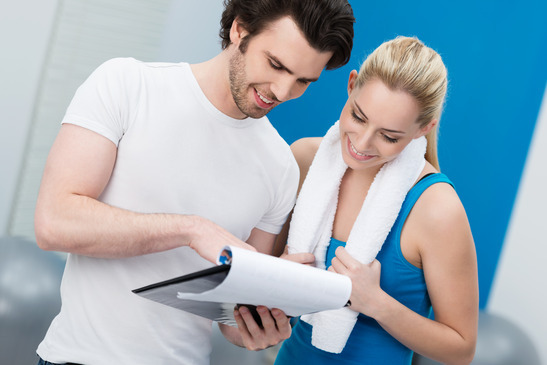 Use your journal or a fitness app to record your workout sessions. If you aren’t making as much progress as you’d like this information can help you decide where to make adjustments. You may need to add more workout days, higher intensity, more reps or miles. As you build a consistent fitness practice your heart will become stronger. 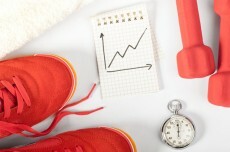 Measure your heartrate at the peak of your workout and while at rest. With time you will find that your heart rate lowers. Exercise is one of the best ways to promote good health and manage chronic illness. 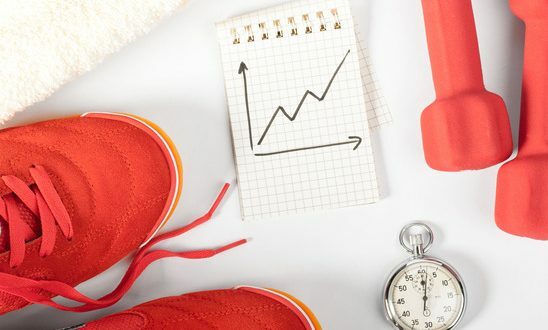 Your healthcare provider will measure things like your cholesterol levels and blood pressure to help you know if your workout plan is effective. Perhaps the most important metric is how you feel. The bottom line is if exercise feels good you are more likely to keep doing it. Be on the lookout for higher quality sleep, more confidence, less stress and anxiety as well as more energy. If you notice that exercise is impacting these quality of life metrics you are getting it right.